The seamless integration between digiChart’s EHR and Kareo gives you an affordable and easy to use medical office software platform designed for OB/GYN. digiChart’s unique OB Flowsheet is an essential function for an OB Practice with lots of deliveries. The OB Flowsheet allows you to work in one screen – see all your patient information in one place. Only enter patient demographics once. Seamless integration between digiChart’s EHR and Kareo ensures both systems share the same patient information. digiChart incorporates the complete Antepartum record (as developed by the American Congress of Obstetricians and Gynecologists - forms A through U), and the progress note in the EHR – meaning that data is entered once. No manual transcription needed. 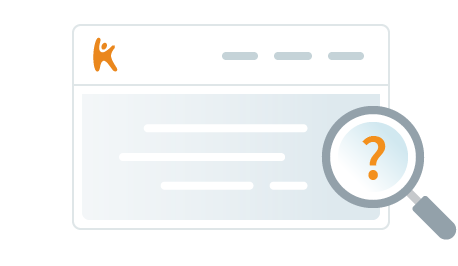 Using Kareo PM, review and approve your claim. Then electronically submit to your insurance payers. digiChart comes equipped with dozens of formatted treatment plans covering most women’s health issues to help you quickly document a visit. With medical decision-making and e-prescribing you can quickly select diagnoses, procedures, medications and education materials for each type of encounter. No templates to build – ever. digiChart uses the latest cloud-computing technology so that critical patient data is available in your office, in the hospital Labor and Delivery department, or on the road. Kareo PM makes it easy to post charges, review and scrub claims for clean claim insurance submissions. Use Kareo PM to set up online bill pay, send digital statements, or print and mail hard copy statements for patients paying copays, deductibles, coinsurance, or the full amount for self-pay scenarios. Send unlimited electronic claims to over 2,500 insurers through Kareo. We bundle clearinghouse services with your software subscription. You do not need to sign up or pay additional fees to a clearinghouse. You can optionally sign up with each insurer to receive electronic funds transfer and electronic remittance reports. These are electronic versions of a traditional explanation of benefits (EOB) report. They save you time by automatically posting insurance payments. You can perform a real-time code check integrated with the charge entry process to check your claims against coding and payer reimbursement rules before you submit claims to insurers. You can also access a comprehensive knowledge-base of coding and compliance. Interface your Kareo data with electronic medical record (EMR) systems, transcription systems, appointment reminder systems, accounting systems, or any other third-party software. Scan individual and batch documents, attach and store computer files, and receive faxes directly into your Kareo account. All of your documents are stored securely online and can be accessed from any location. Storage is provided on a per provider, per month allocation with your initial 100MB free of charge. View daily, weekly, and monthly calendar views, schedule appointments, print schedules and encounter forms, customize your scheduler, and configure powerful scheduling rules. Perform real-time insurance eligibility checks with hundreds of major insurance companies. Saves you time by eliminating the phone calls, reduces claim denials and helps you avoid bad debt from uninsured patients. Customize and print encounter forms for your patient visits. 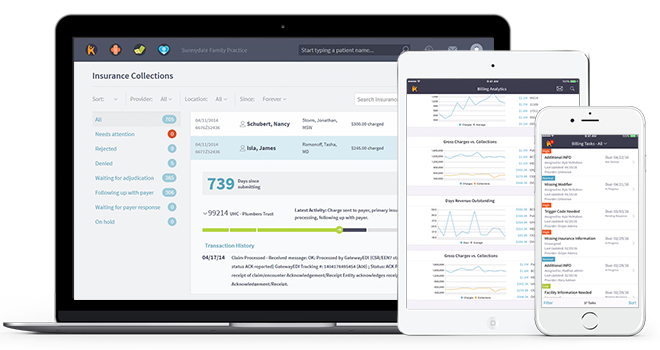 Kareo will automatically email patients 3 days prior to an appointment. This proactive and automated approach helps reduce the chances of patient no-shows. digiChart offers a proven, focused EHR solution that is ideally suited for the needs of your OB/GYN practice. We give you all the specialty tools, services, and education resources your practice needs to increase productivity and enhance patient care.